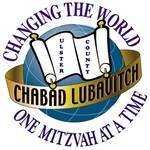 Chai Club - Chabad Lubavitch of Ulster County: Where all are welcome! The Chai Club is comprised of individuals committed to the financial support of Chabad of Ulster County. Chabad of Ulster County does not ask for annual membership dues or require any building fund payments. We believe in an open-door policy, where everyone is welcome regardless of affiliation, background or financial status. Yet we still have bills to pay. A crucial element of support for Chabad's work comes from hard-working individuals who commit to a monthly contribution. These monthly donations add up and make a great difference in covering Chabad's operational budget. It's a great opportunity to give tzedakah and to give back to Chabad for all we do. Any amount is really significant. If you are still reading this you’re a believer! Thanks for reading past that first line. The Talmudic adage, “Each and every penny adds up to a large amount,” enjoins us to give all we can to charity and displays how meaningful that tzedakah is. This is simple math. $18 is significant! Watch this: Ten people giving $18 per month (about 59 cents daily) is $180 per month. Over twelve months that is $2160. Now if we had ten donors at $18 per month and ten donors at $36 per month and ten donors at $72 per month and ten donors at $108 per month and ten donors at $180 per month, that would mean 50 donors are contributing $49,680 annually! Add another 50 donors and it's almost $100,000 annually! 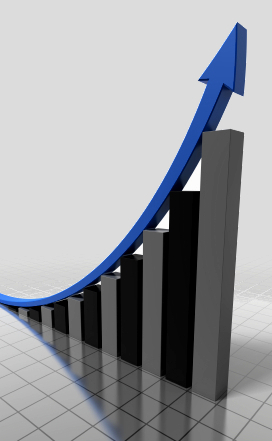 The exponential growth potential is amazing. Thank G‑d Chabad has grown and our budget has grown. We pride ourselves in operating an extremely lean organization and stretching every dollar. But still, we do not receive monetary support from Chabad Lubavitch Headquarters and depend on donors like you! Please join our Chai Club. Pick a dollar amount in multiples of $18($18, $36, $54, $72, $108, $180, $1,800,000, etc.). Eighteen is the numeric value (gematria) of the word CHAI, meaning life in Hebrew. You can always increase it or decrease it or cancel. As a member of the Chai Club, your donation, combined with everyone else’s in this special club, will allow us to continue serving the community’s spiritual needs and provide even more. As a convenience, you can choose monthly credit card billing. Many banks offer a free, recurring bill pay option, which will help your contribution go even further by avoiding credit card fees. Ask your bank about setting up a recurring donation. or email RabbiAB @ ChabadUlsterCounty.org. This unique and simple way to help and really make a difference! Join the exclusive group of existing Chai Club Members now. Your recurring gift will create an ongoing relationship between you and the community you are supporting and will join you with the"Chai Club."